Both parties have important information to give to the other, and asking the right questions is just as important as gathering the feedback from them. Consider the following employee performance review questions to gather more detailed information on an employee’s work approach, specific incidents relevant to their review, and how employees feel about their job, their team, and their manager. Performance reviews typically focus on the feedback given to an employee by their managers, but the information you don’t have is the employee’s perspective. Use these questions to get a better understanding of how employees view their performance and uncover new information that impacted their performance. Do you have any questions about the feedback you received in your last performance review? Have I given any feedback that you do not fully understand or that came as a surprise to you? Did I give you any feedback that you thought was unfair or inaccurate? What is your biggest motivation for the work you do? Are you getting everything that you need in order to do your job effectively and to enjoy your time here while working? What accomplishments are you most proud of this (year)(quarter)? What did you hope to accomplish by this point? How much progress did you make toward your goals? What was your biggest contribution to a project or team this (year)(quarter)? How did you contribute? What was the impact? What do you hope to accomplish in the next (year)(quarter)? What tasks and projects have you enjoyed working on the most this (year)(quarter)? How do you see your job relating to our company’s performance this (year)(quarter)? Some of the most important questions to ask reveal how effectively your employees feel they have been trained, mentored, and given feedback. These questions will show you how well your employees are being supported by their managers and where they could use more support. Have you received enough feedback to perform effectively over the course of this (year)(quarter)? What feedback, training, or mentorship do you think would have better prepared you for the challenges you faced this (year)(quarter)? What feedback, training, or mentorship helped you the most? Who gave it to you and why do you think it was so helpful? Generally, where would like more feedback, training, or mentorship to better understand and enjoy your role? What skills would you be interested in improving with the support of a mentor? Do you have any questions for your leadership team? Are you benefiting from team meetings? How do you think meetings could be run more efficiently/effectively? 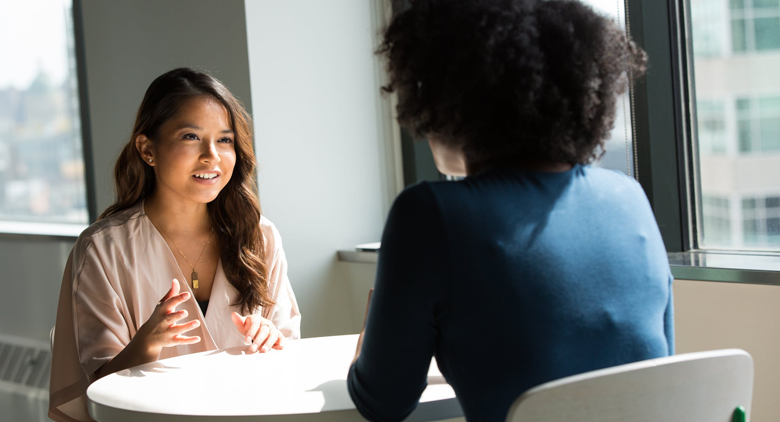 Behavioral performance review questions provide key insights into how an employee approaches and works through important projects and challenges. Use these questions to get more insight into how your employees work through tough projects, problems, and situations. Tell me about the process of achieving your biggest accomplishment this (year)(quarter). What helped you the most and what got in the way? Was there any point when you thought you might not hit the mark? Tell me about the circumstances leading to your biggest setback this (year)(quarter). In hindsight, is there anything you could have done differently to avoid this setback? Is there anything that a co-worker or manager could have done differently? Tell me about the most helpful training or feedback you received this (year)(quarter). Why was it so helpful? Tell me about a time when you had a disagreement with a coworker on the best way to complete a task or a project. What happened? How was the disagreement resolved? Tell me about a time when you disagreed with your manager about the best way to complete your work. How did you communicate your point of view to your manager? Which tasks do you find taking longer than they should? Why might that be the case? Tell me about a time when a project or task was much harder than you anticipated. What made it so hard? How did you overcome the difficulty? Managers have a huge influence on employee effectiveness and Gallup reveals that 75% of voluntary turnover is related to the employee’s direct manager. These questions will help you start a dialogue with managers about their performance directing, training, and mentoring employees, and how to improve it moving forward. What has been your biggest success as a manager this (quarter)(year)? What has been your biggest challenge as a manager this (quarter)(year)? What was the most valuable thing you learned from one of your employees recently? How have your mentorship and training abilities grown in the past (quarter)(year)? Where can they still improve? Tell me about a time when you made a judgment call that ended up being wrong. How did you remediate the error? How effectively do you believe you are conducting performance reviews for your team? How might you make your performance reviews more effective? When an employee was not meeting their performance benchmarks, how did you help them improve? How did you ensure they didn’t become discouraged? Performance reviews are an opportunity to learn more about the outlook of your employees and have conversations about what will be required to retain them. Use these questions to learn more about how your employees feel about their job, their place in the larger company, and where they see themselves in the future. What do you hope to accomplish in the next month? The next six months? This coming year? Do want to take on more or more complex projects? How prepared are you to take on this work? What is your plan to become prepared enough? What position do you hope to move to next in this company? Does this company offer the position that you want to hold next in your career? Can you describe our company culture? How could the culture here be better for you, your team, and everyone here? Where do you find yourself consistently losing time at work? What adjustments would help you to be more productive and happier at work? Effective employee performance reviews should be a two-way exchange of information, not just a manager presenting feedback to an employee. The better you can understand how an individual employee approaches work challenges, the better you can understand where this employee needs further guidance. These performance review questions can help teams better measure an employee’s ability to accomplish specific objectives and take on even more challenging projects in the future. This article originally appeared on Lever. Lever is a recruiting software company designed to tackle the most strategic challenge companies face: how to grow their teams.